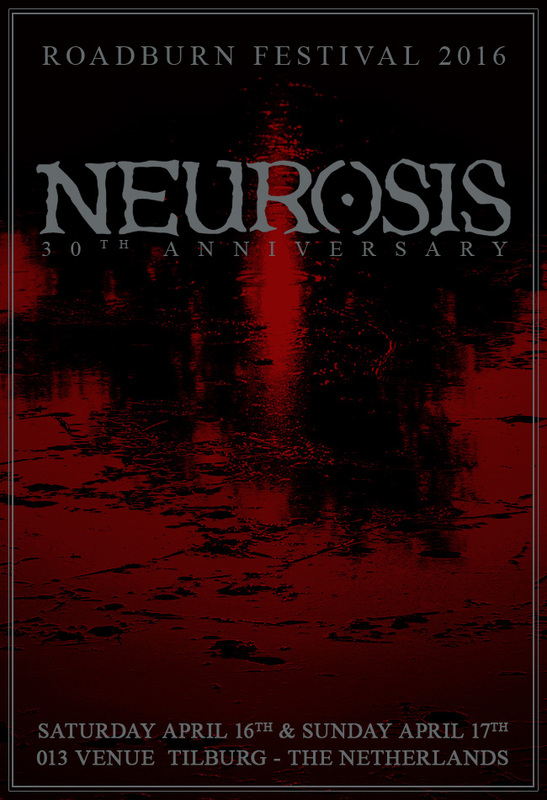 Following recent announcements of NEUROSIS celebrating their 30th anniversary with several live sets in early 2016, including Roadburn Festival, both STEVE VON TILL and SCOTT KELLY have also just confirmed a special night of solo performances at this year’s Roadburn as well. NEUROSIS is so much more than a band. At times, they seem to be at the heart of a sentient organism, fully functioning all by itself, with the activities of their members and of the entire Neurot family constituting the remaining organs and limbs of this fascinating creature. None of those activities are more deeply connected and wrapped around that ever-beating heart than the solo careers of guitarists/vocalists SCOTT KELLY and STEVE VON TILL themselves. 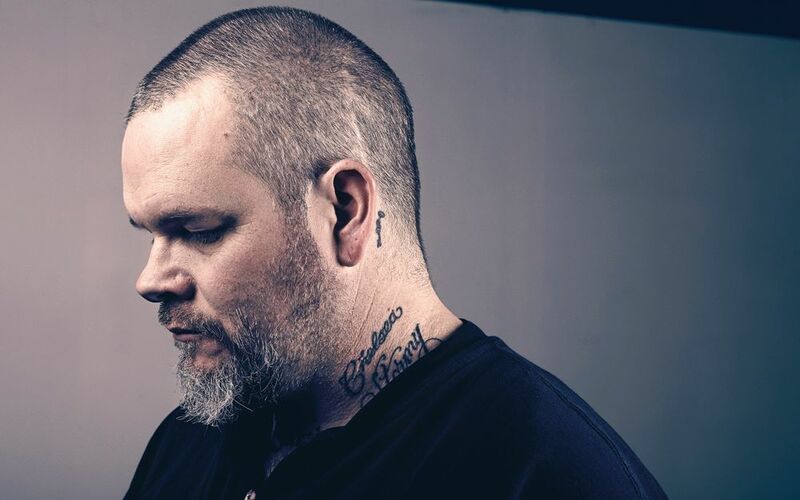 Therefore, it is but natural that the NEUROSIS 30th anniversary celebrations that will take place at Roadburn will also include a typically intimate and profoundly touching solo performance by each of the two musicians. SCOTT KELLY and STEVE VON TILL will therefore complete the weekend-long NEUROSIS anniversary experience with both performances taking place at the Het Patronaat on Friday, April 15th. Each of them will be a life unto itself that must not be missed. Like NEUROSIS themselves, and most of their related other projects, it is not the first time Roadburners will have the immense honor and pleasure to witness these two men alone on a stage pouring their souls out, much more vulnerable and naked than usual, displaying their tremendous courage. 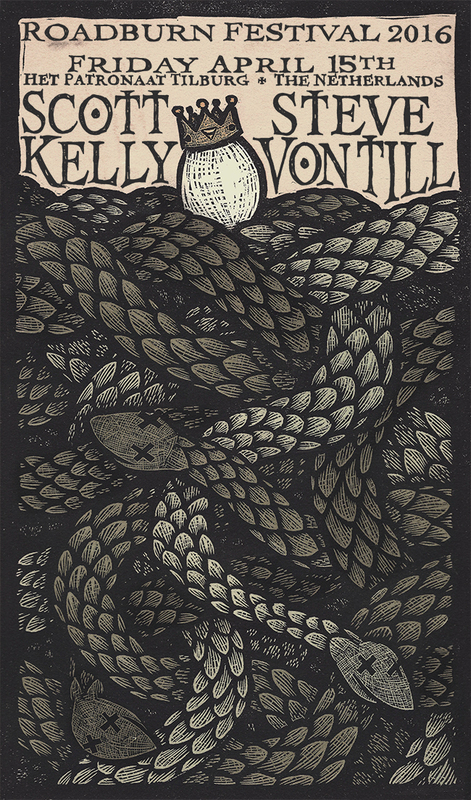 Both of them performed solo on the European version of their Beyond The Pale event which enriched the 2009 edition beyond our wildest dreams, and SCOTT KELLY had also played the year before, marking the release of his harrowing second album, The Wake. In these last few years, however, much has happened in artistic terms that will make these concerts an equally fascinating, yet decisively different endeavor. 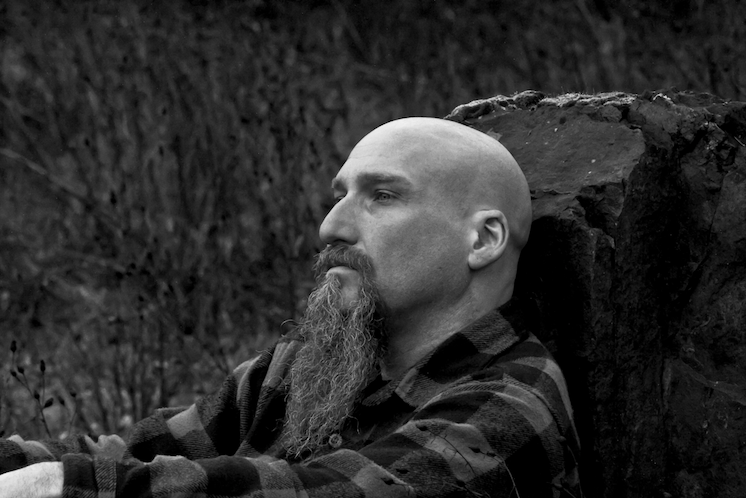 Although he had already released two solo records when he first stepped on his own on the Roadburn stage, the bleakly atmospheric Spirit Bound Flesh and the aforementioned starkly minimalist The Wake, he has since been particularly active as a stage performer outside Neurosis, touring Europe and the United States several times, and often in very good company. The much-praised The Forgiven Ghost In Me album, released in 2012 under the moniker SCOTT KELLY AND THE ROAD HOME, highlighted the collaborative potential of his solo work, and achieving a rare balance between the intimacy of a solo work and the possibilities afforded by a band effort. Since then, he has frequently played accompanied by THE ROAD HOME, which currently consists of the like-minded cohorts that are fellow NEUROSIS bandmate NOAH LANDIS and "Denver Sound" legend Jay Munly. He has also participated in a few split releases, as well as contributing three songs to the first volume of the Songs Of Townes Van Zandt collection. It is the sum of all these experiences that we will witness at Roadburn when Scott sits down, quietly, with his guitar, and we bet there won't be a dry eye in the room when he bows out at the end. STEVE VON TILL made us wait a little while for the follow up to his superb 2009 album, A Grave Is A Grim Horse, only giving us three songs on that same Songs Of Townes Van Zandt collection in the meantime to stave off the hunger, but every second of wait was worth it when we finally got to hear A Life Unto Itself. Right now, it still resonates deeply within us as much as it did when it was released last May, if not more so – its sparse and starkly elegant mixture of Americana, ancient folk music and psychedelia constantly leaving us pleasantly lost in some figurative deep dark wood. It has the sobriety, the earthy mysticism, the emotional evocative power and same spiritual connection to nature and to forgotten, ancient times his two first albums did, As The Crow Flies from 2000 and If I Should Fall To The Field from 2002, but it's also brimming with surprising electric subtleties which were first explored on A Grave Is A Grim Horse. If we add to this the fact that, alongside his solo work under his own name, STEVE VON TILL also maintains activity as HARVESTMAN, his home-recorded, psychedelic improvised project which he has released three amazing, mind-altering records with (one of them, Trinity, a very appropriate soundtrack to an Italian horror film), and from which he often performs a few pieces during his solo shows, we can expect a varied, dynamic performance, where the flow of continuity is assured by the man’s unmistakable vocal and guitar personality.